This gallery contains pictures from our journey to the Cocoa Cottages, our hike to Trafalgar Falls, and our snorkeling trip to Champagne Reef and Scott's Head. On our way to catch a bus to Champagne Reef, we took a shortcut through the botanical gardens in Roseau, where we found this unfortunate school bus. 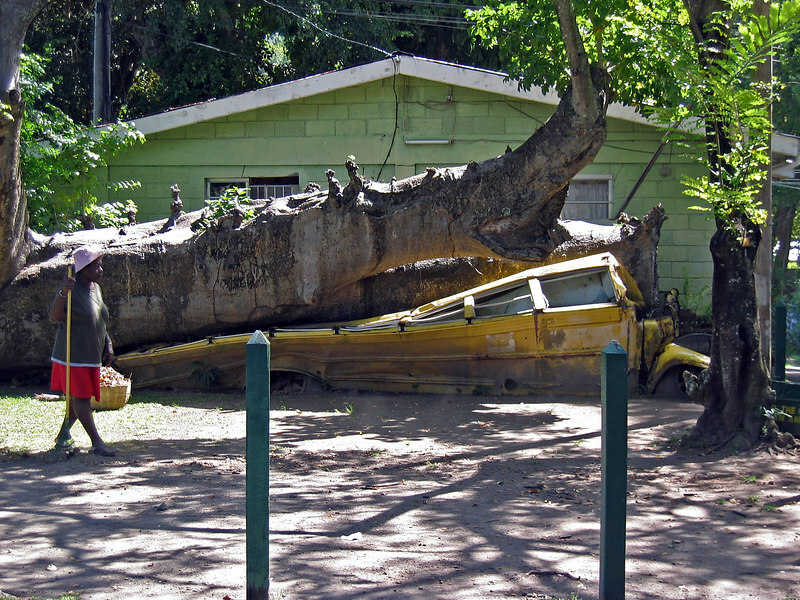 This school bus was crushed by the Boabab tree during Hurricane David.